Khalid Jamal is an award-winning Communications Professional and Director - Orion PR & Digital Pvt. Ltd., India. He specializes in coaching, consultancy and counseling in PR Communications, Reputation Management, Crisis & Media Management and Digital Communications / Social Media. 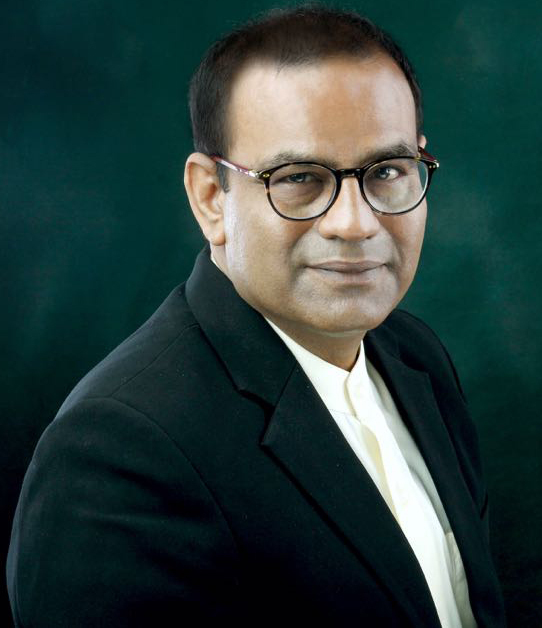 He has been associated with over 500 clients including Nike, Star TV Group, TRAI (Telecom Regulatory Authority of India), Governments of Sikkim, Telangana, Odisha and Karnataka, Pidilite,UTI, Tata Group, IDMA, J&J, Subway and Wipro to name a few, in his career spanning close to three decades. Jamal has coached and counseled a large number of senior executives in Media, Crisis and Digital Communications. His workshops have been popular with clients like Andromeda Shipping, American Express Bank, UTI, Jet Airways, Elektrans, Aztec Software and a number of Industry bodies to name a few. Prior to the current engagement, he was heading RC-PR, South Asia's first venture-funded PR Company and a chain of finishing schools (Aria Finishing School) after an eventful stint with Abacus PR as Founder President (a part of Triton Communications Group). He was awarded 'IMM Advertising & PR Manager Award' by Institute of Marketing and Management, Delhi and 'PR Manager of the Year' Award by Public Relations Society of India.